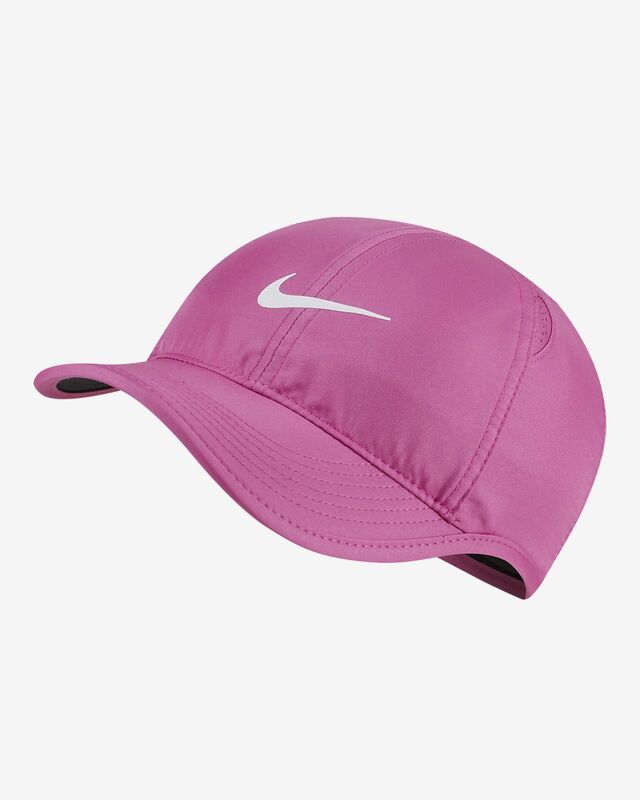 The Nike Featherlight Adjustable Hat is made with sweat-wicking fabric and perforated insets to help keep you cool and dry. An adjustable strap in back lets you customize the fit. Fabric: Body/bill/panels: Dri-FIT 100% polyester. Sweatband: Dri-FIT 91% polyester/9% spandex. disappointed. The hat is adjustable however, the Velcro is at the tip which makes it impossible to close. I LOVE THESE CAPS!!! GREAT FOR WORKING OUT AND LOOK GOOD DOING IT!! I wish I would have known how small the hat was before purchasing. Either this is the smallest hat ever or I have a gigantic head. Disappointed because this seems like a really nice lightweight hat I’m sure I would enjoy working out in if it fit properly.